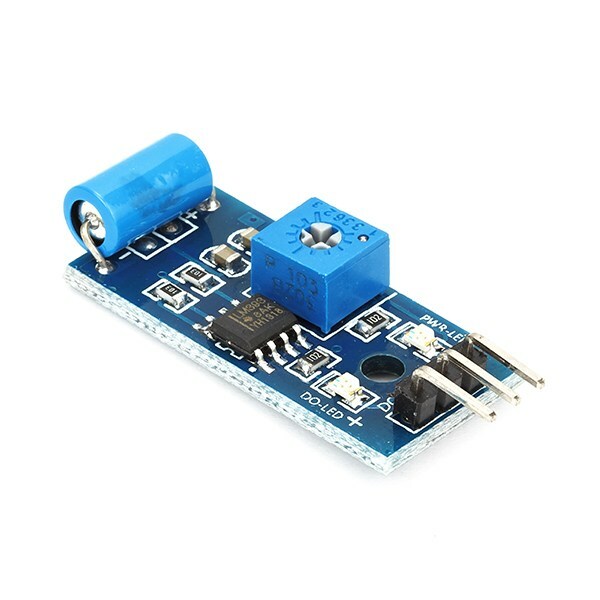 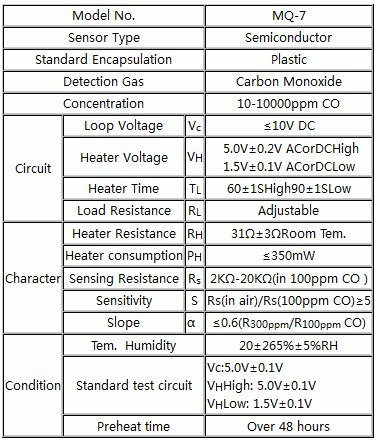 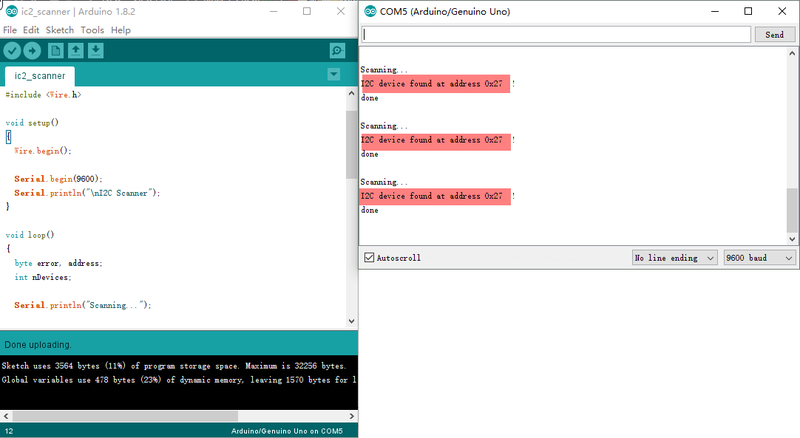 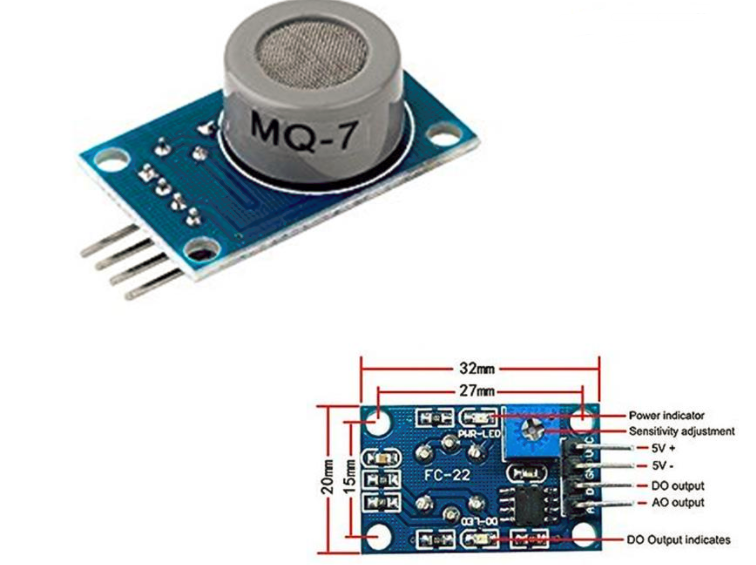 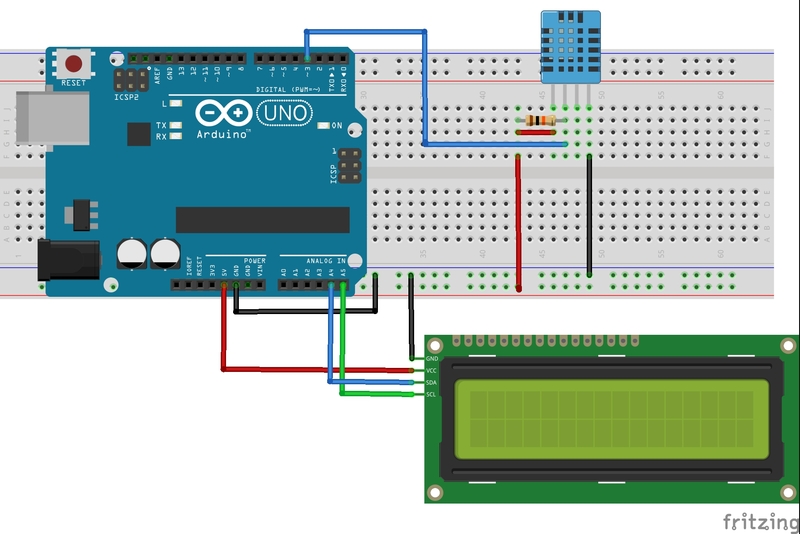 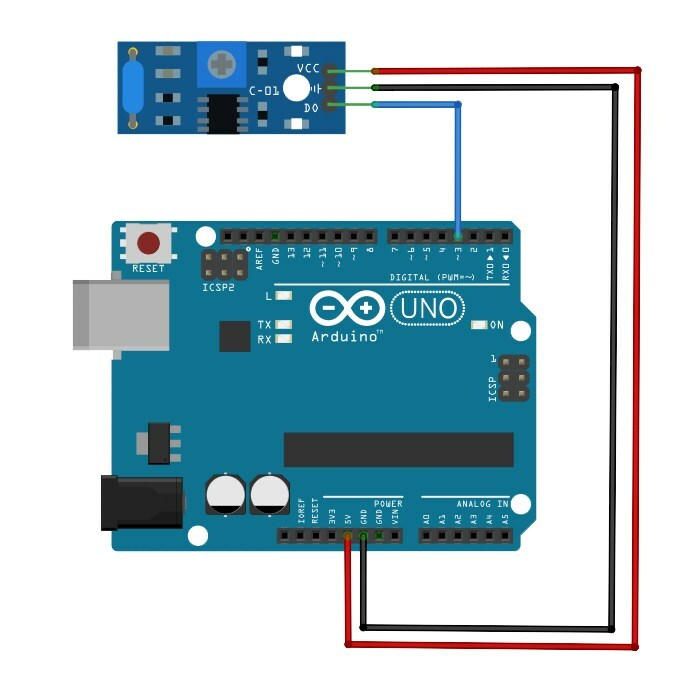 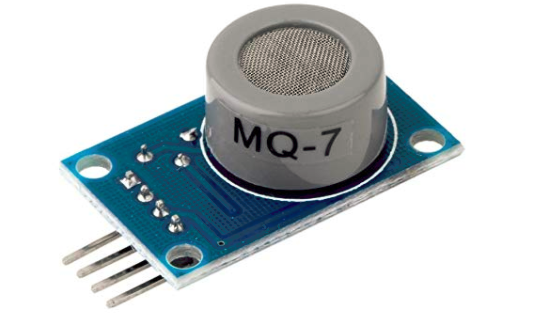 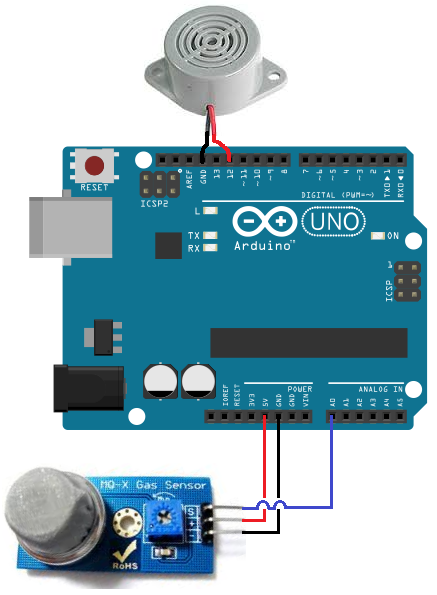 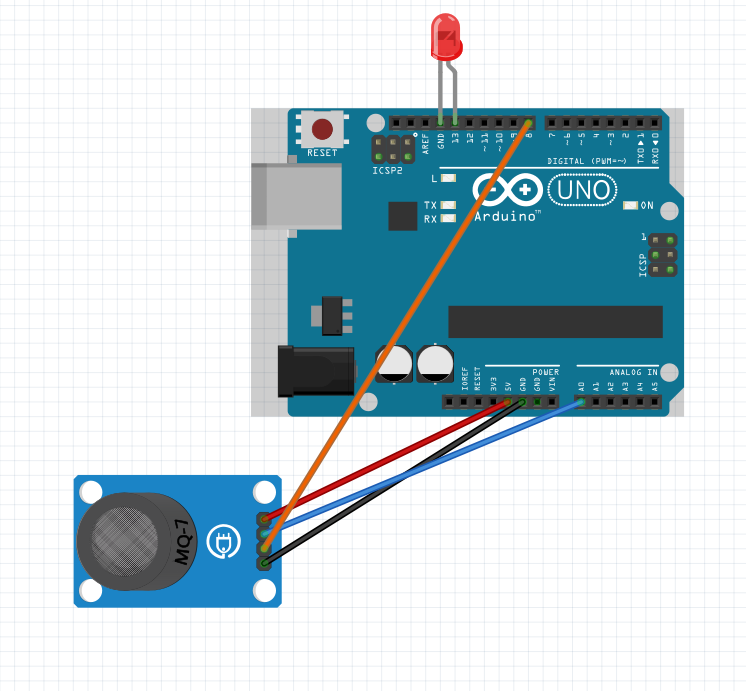 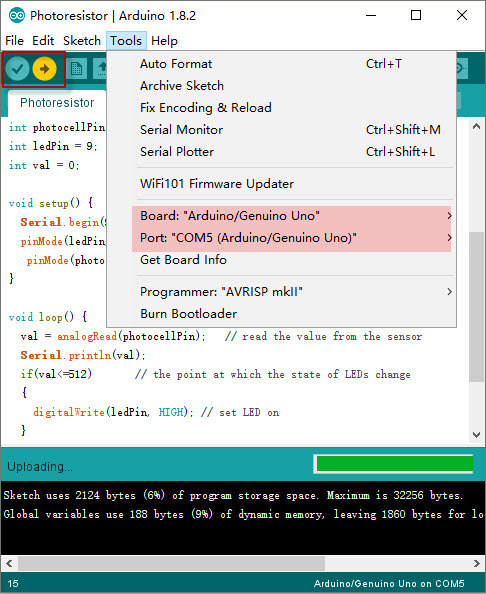 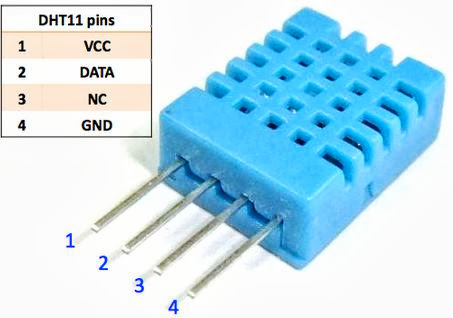 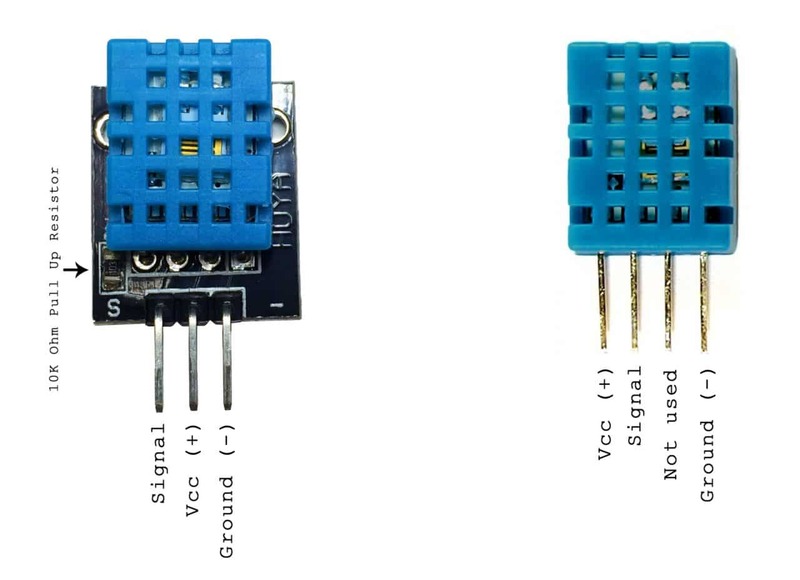 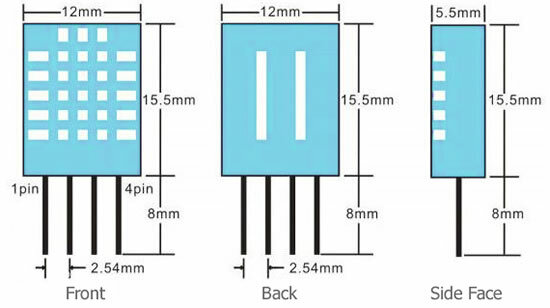 Posts tagged "smart home kit"
In this experiment, we will connect a photoresistor to an Arduino analog input and read the value with the analogRead() function. 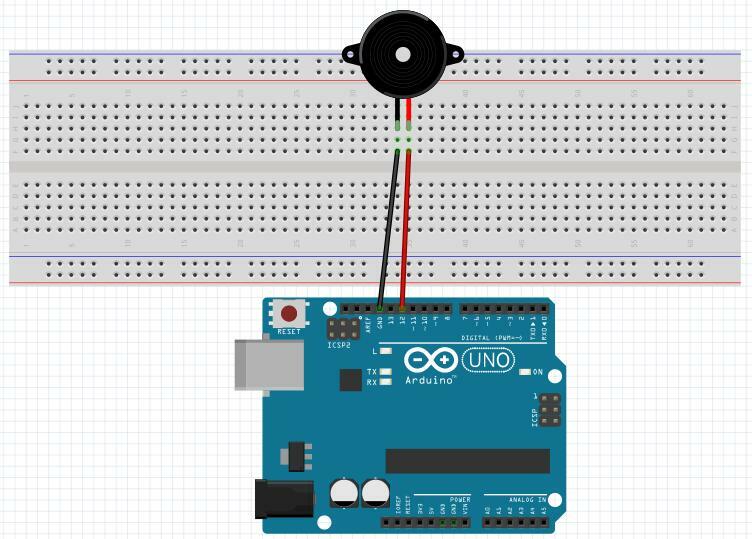 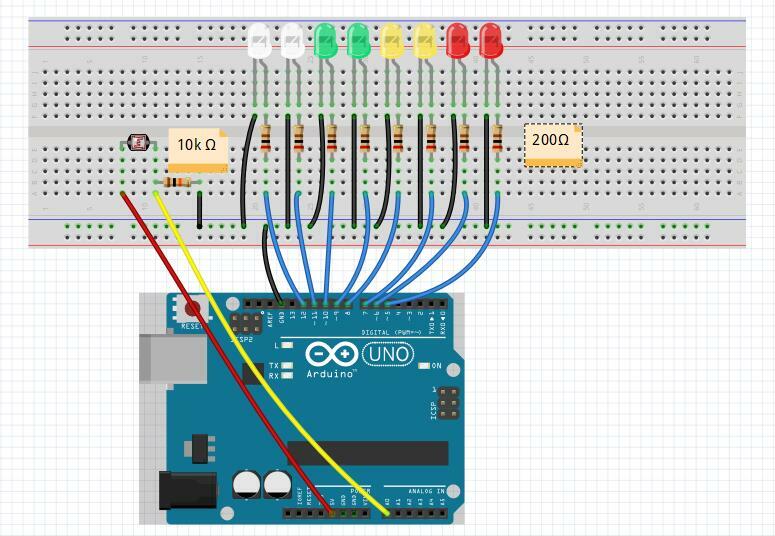 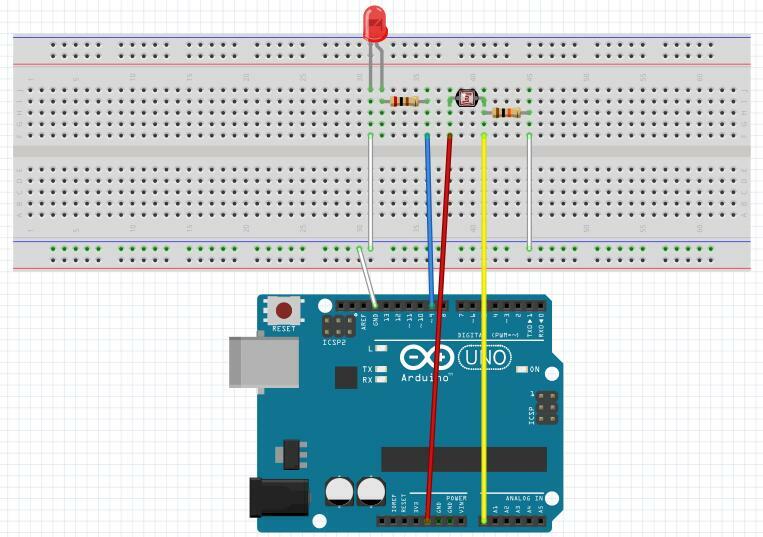 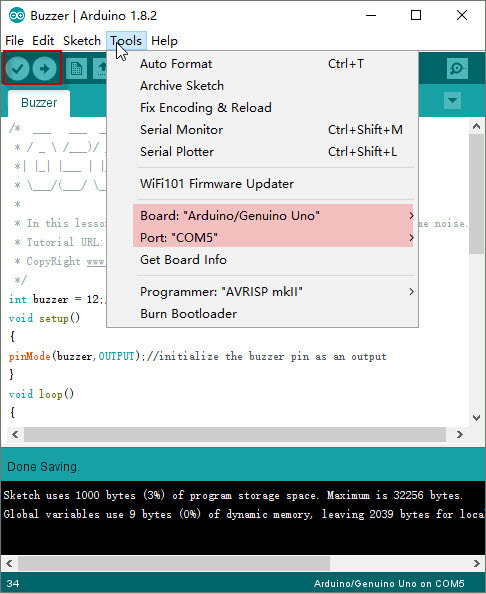 Depending on the value the Arduino reads, the program will then set pin 9 HIGH or LOW to turn on or turn off the LED night lights. 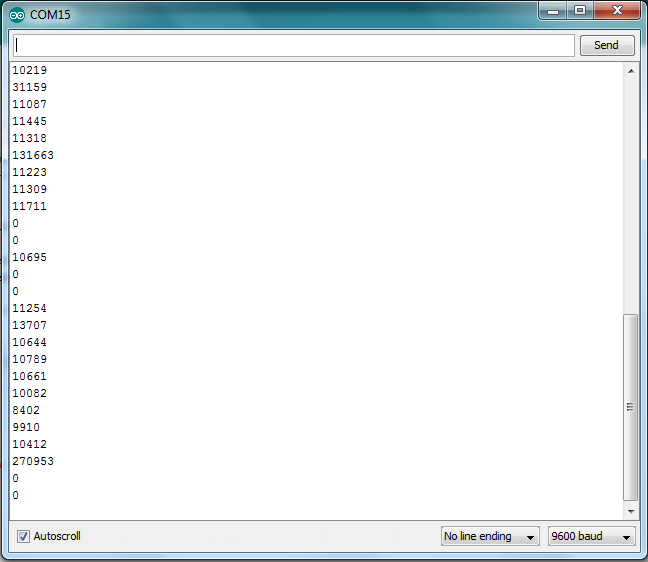 The threshold value is 512. 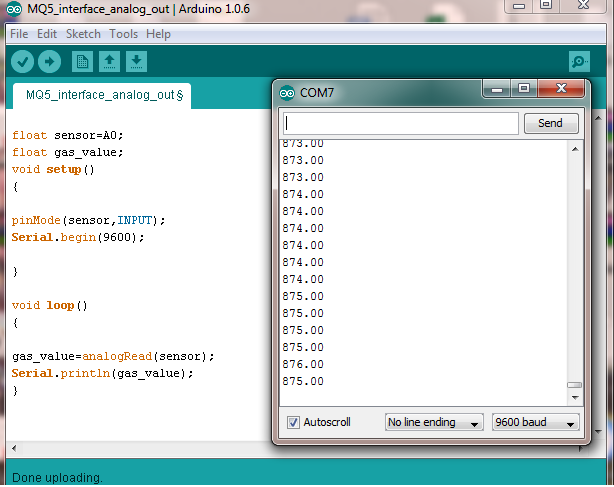 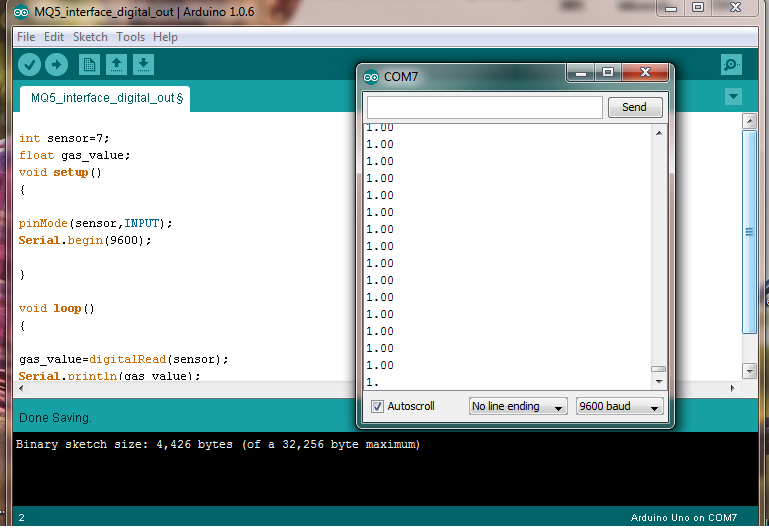 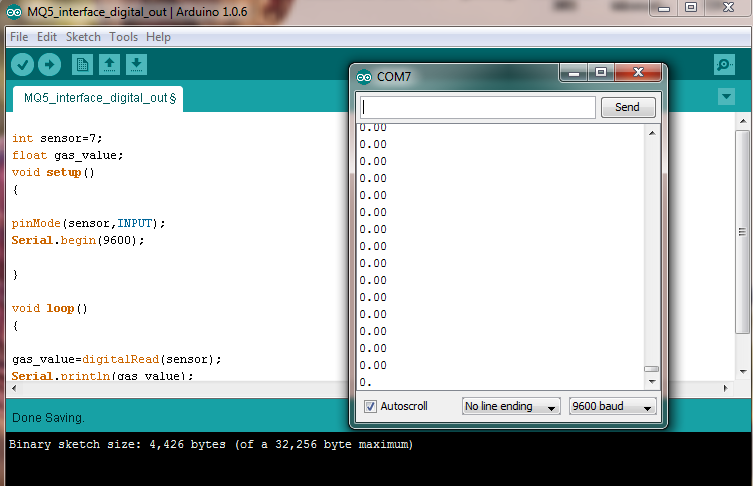 When the analog value read is less than 512, the Arduino will turn the LEDs on. 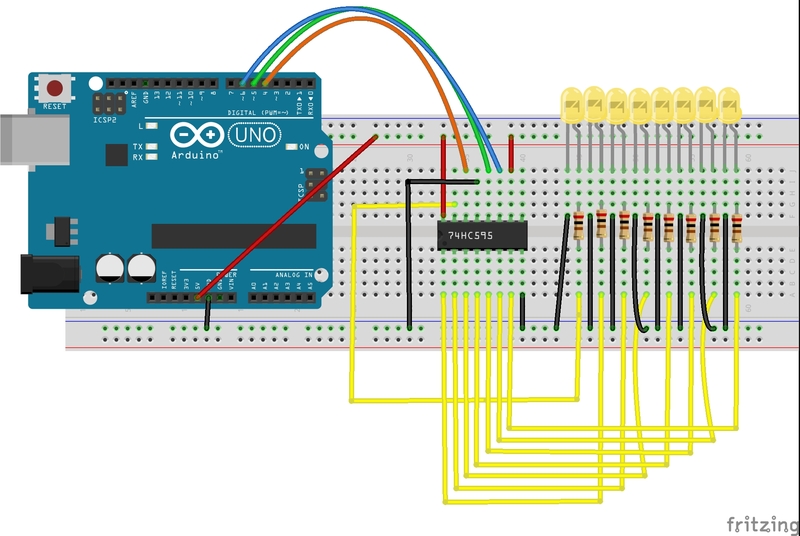 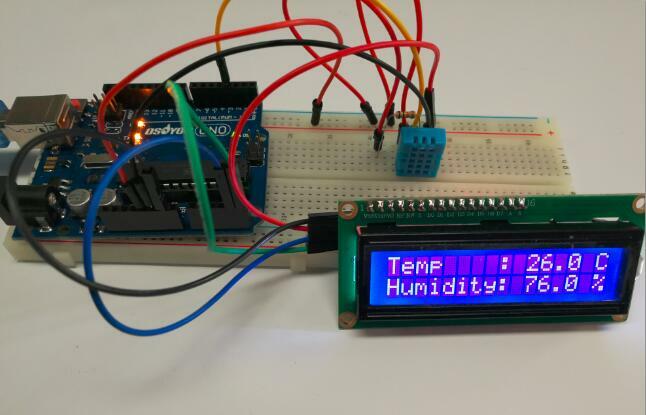 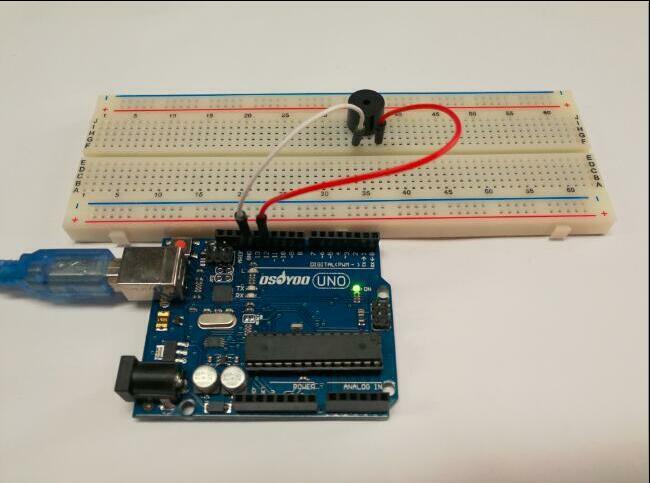 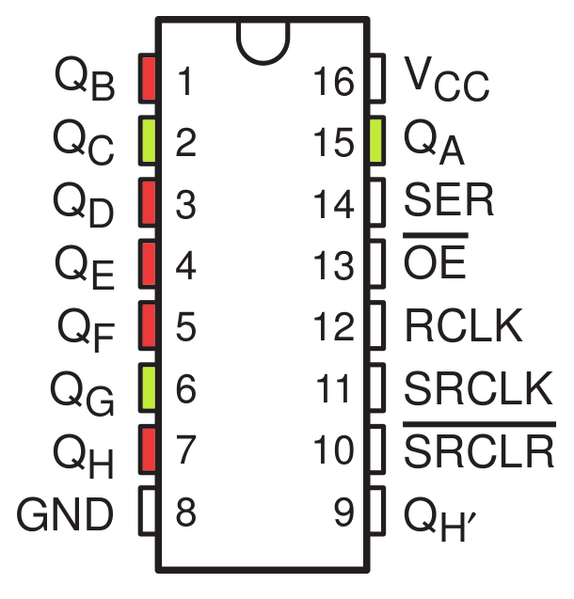 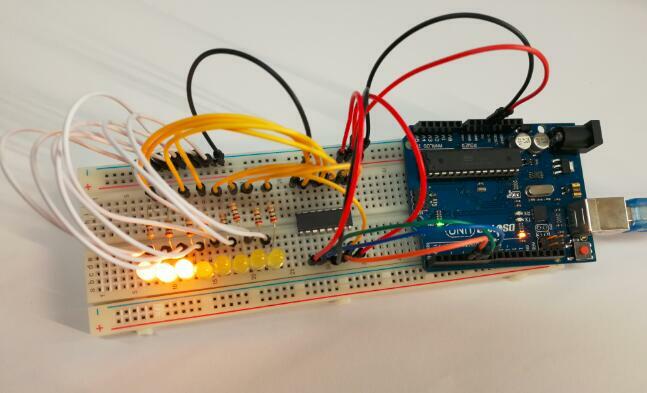 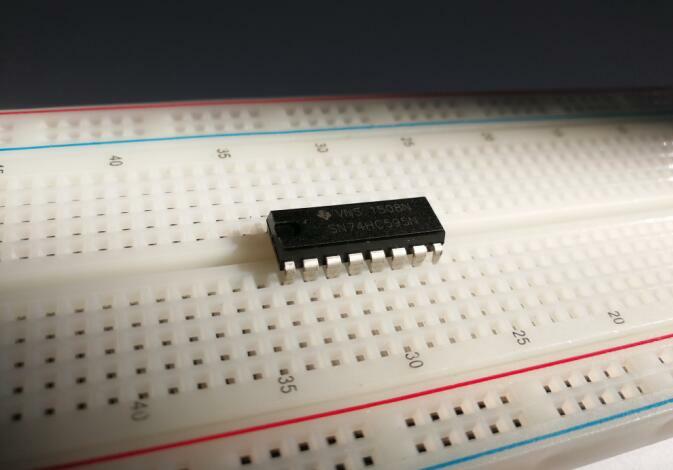 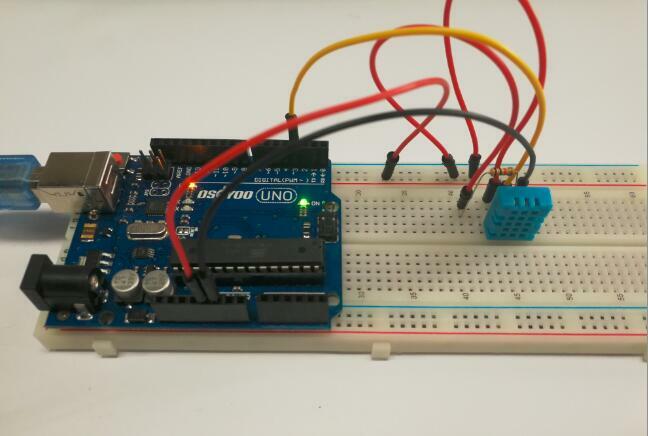 When the analog value it reads is more than 512, the Arduino will turn the LEDs off. 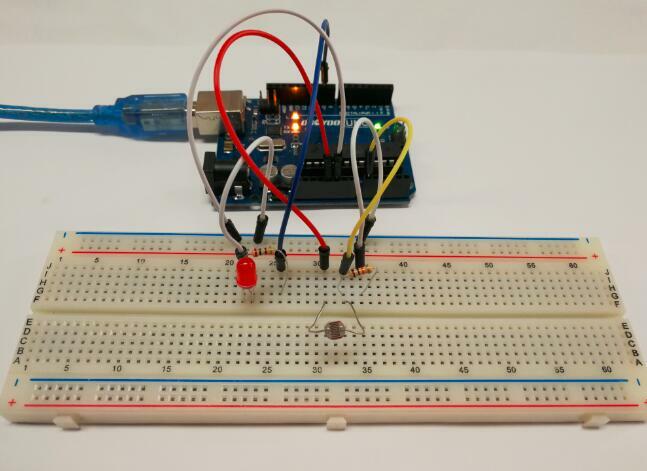 In this experiment, we will use eight LEDs to indicate light intensity. 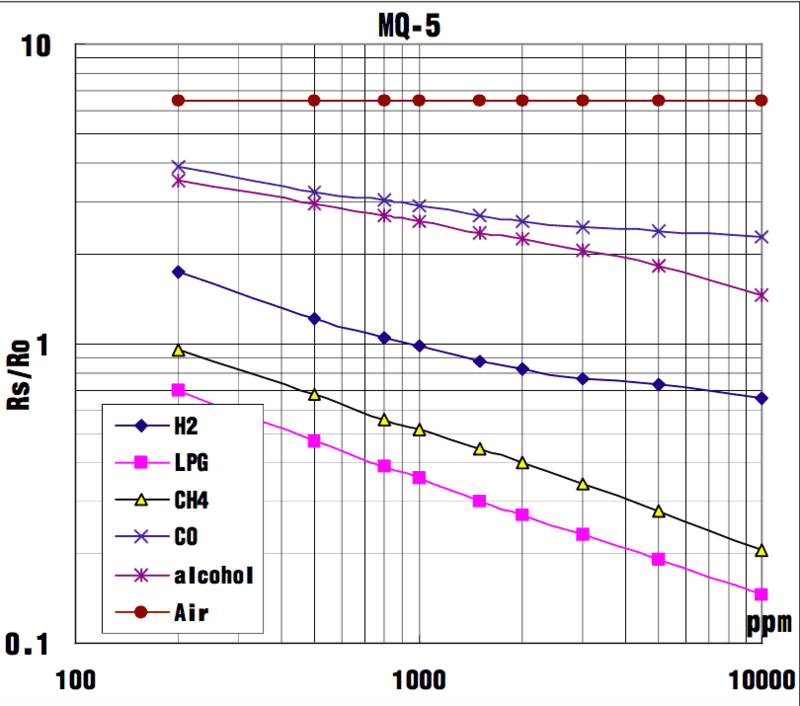 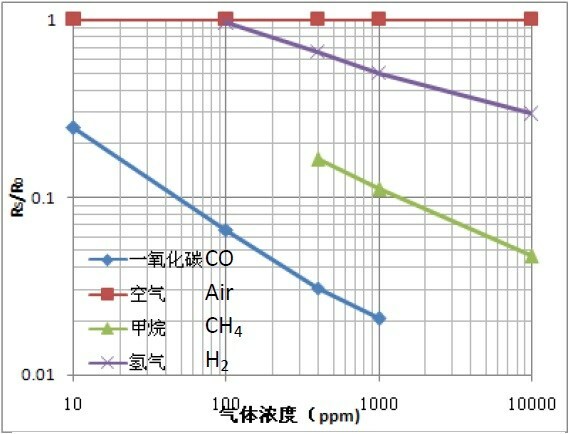 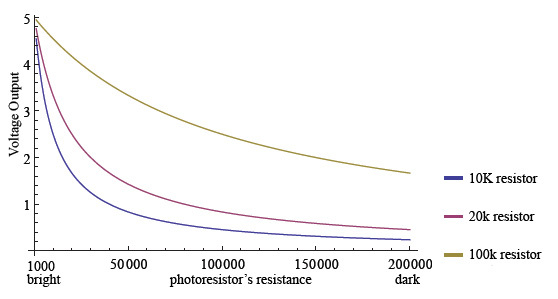 The higher the light intensity is, the more the LED is lit. 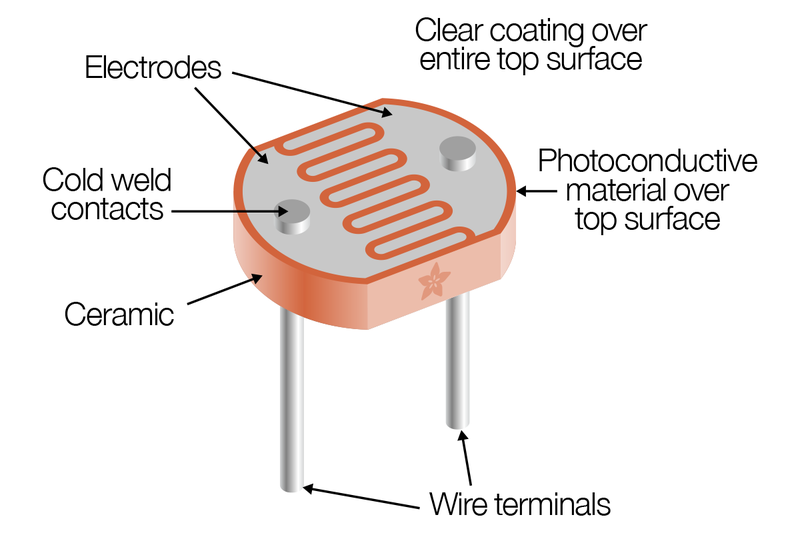 When the light intensity is high enough, all the LEDs will be lit. 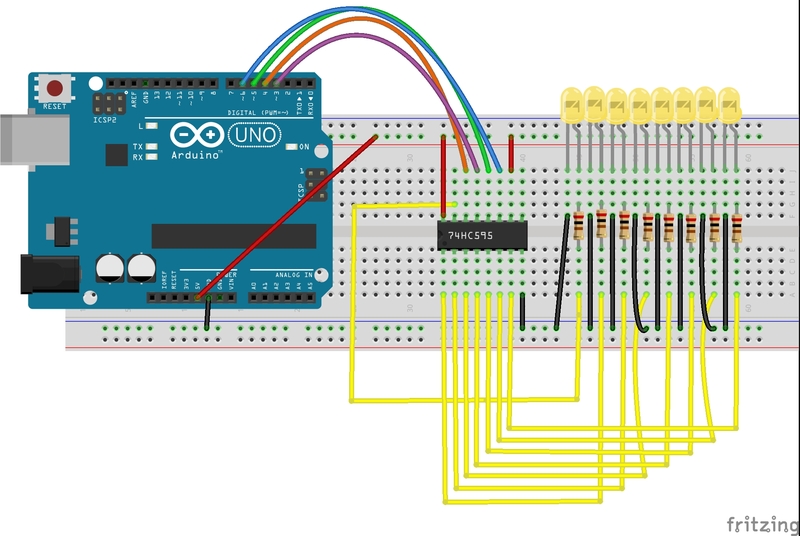 When there is no light, all the LEDs will go out. 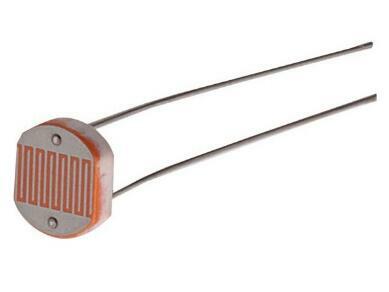 Now, if you shine the photoresistor with a certain light intensity, you will see several LEDs light up. 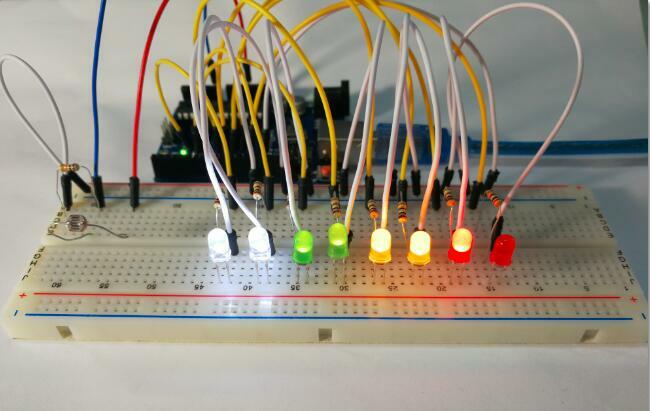 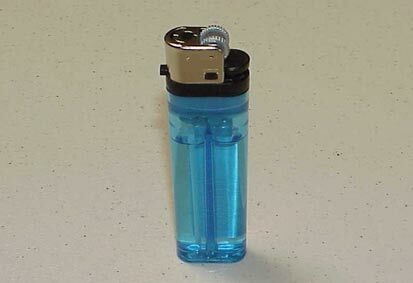 If you increase the light intensity, you will see more LEDs light up. 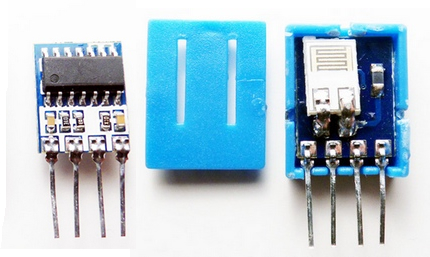 When you place it in dark environment, all the LEDs will go out.